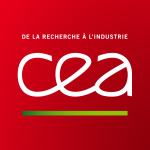 The CosmoStat laboratory is an interdisciplinary research group at CEA Saclay, near Paris. It is part of the astrophysics division (SAp - Service d'Astrophysique) at the Institute of Research into the Fundamental Laws of the Universe (IRFU). CosmoStat is also part of AIM (Astrophysics, Instrumentation and Modelling), a mixed research unit of CEA, CNRS, and Universite Paris-Diderot (Paris 7).